Adding a basement egress or exit is required by building codes, and should be done properly to ensure that you and your family stay safe. Steelway Cellar Doors knows how, and can do it all! If you need a basement egress installed for code compliance, we can easily add a cellar window well egress that's perfect for safety and convenience. When it comes to basement egress windows, we are your "egressperts!" Steelway Cellar Doors is your certified egress window contractor in Norristown and the the Greater Delaware Valley. Contact us today to learn more about installing a window well egress for your basement or replacing your existing basement egress system and receive a free cost estimate! Get a FREE Egress Window Installation Quote Now! Excavate and cut for 34x50 out swing casement window. Install 2x12 pressure treated wooden frame for window and install 3x3 angle iron headers on inside and out to support block. Trim with synthetic trim. Reroute underground drain and install new drain to daylight. Attach 33" Virgil well. Block in existing window on right of egress. Sometimes there are no choices as to where your egress can go. That may create a tight spot. Not a problem for Steelway! We were able to properly install a window well egress for this client in Elizabethtown. Count on our professionals when you need an estimate for a replacement egress! Nothing Steelway can't handle! A simple installation of a Steel Well Egress. Removed a failed plastic Egress Well in Coatesville. We then replaced it with a warranted steel well. We do not use plastic at Steelway because we know if often fails, just as this example shows. This Wilmington, De homeowner wanted to install a brand new concrete window well. Knowing they needed expert work, they quickly contacted the team at Steelway Cellar Doors. We were happy to oblige and installed a Perfect Egress. We think you'll agree that it does wonders for the property. "Hard working, great customer service skills"
"I used you several times before and was well pleased each..."
Unlike steel doors, our basement window well egresses will allow an abundance of natural light into your basement. By adding a large, insulated glass window to your basement, you can provide more than just a safe exit route – you will also be adding fresh air and light that will make the space feel brighter, larger, and more inviting! Like our basement stairway system, Steelway Cellar Doors' window well egresses can be installed on any home with a block or poured concrete foundation wall in just one working day. Did you know that Steelway Cellar Doors can retrofit your basement with an egress window installation that will meet municipal codes, add safety to your home, and make it easy to bring items in and out of your basement? All of our cellar window egresses are designed and installed with safety, convenience, and code compliance in mind. Keep your family safe! 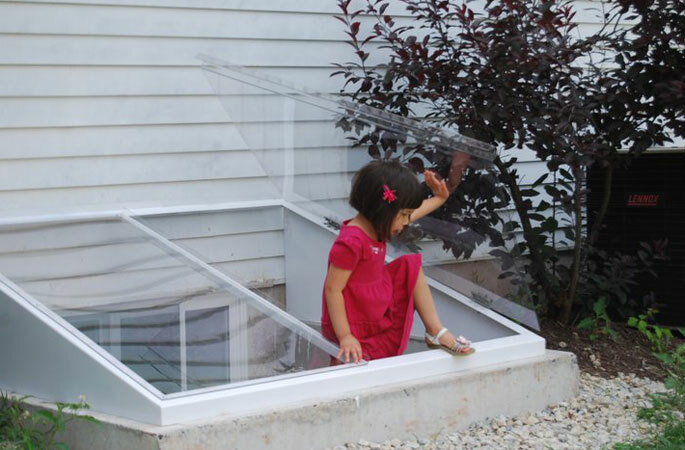 Our basement egress windows and cellar stairways are built to comply with building codes. Safety: A secondary basement entrance/exit will make your home safer! Our cellar window egresses are designed for ease of operation and are large enough for anyone to safely enter or exit. Convenience: Steelway Cellar Doors' cellar window entrances will enable convenient and easy access for the homeowner. No more dragging large things through the house to get to the basement! Code compliance: Adding a Steelway basement egress window will meet all building codes that require a secondary egress for finished basements. We are your certified basement window replacement experts, so let us do it all! 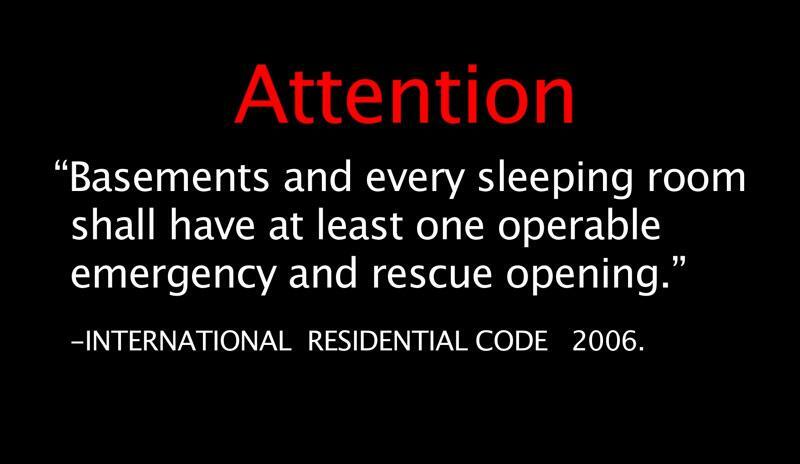 We will arrange for the permits, call the utilities, and take care of all of the work. The entire egress window installation process takes less than a day, so there is no risk of an exposed foundation or water leaking while we install your new egress window. We guarantee that our work will stay waterproof for the long-term, and we'll back it up with a one-year warranty. Steelway Cellar Doors is licensed and insured in Pennsylvania and New Jersey and we have decades of experience helping homeowners and contractors with all of their basement egress window needs! Contact us today for a free cost estimate to install egress windows in Philadelphia, West Chester, Abington, Wilmington, Cheltenham, Havertown, Haverford and many areas nearby. Get a FREE Egress Window Installation Quote!